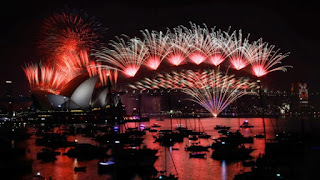 No one in Australia would have been unaware of the millions of dollars being spent in the New Years Eve fireworks shows in Sydney and Melbourne and to little villages and small country towns all over the country. The Brisbane River attracted 100,000 visitors and Perth, Adelaide, Wodonga and everywhere brought in the new year with joy and merriment. Down in Mosquito Hill, Currency Creek, South Australia, yesterday 15 homes were directly threatened, and 310 hectares were scorched. Thanks to 200 firefighters, no deaths were reported and the fire is "contained" which is great news. Not so the people of Wye River where many are still homeless from last week's major fires along the Great Ocean Road. Kennett River (Victoria) home owners were evacuated yesterday, but thankfully no one saw their home destroyed. 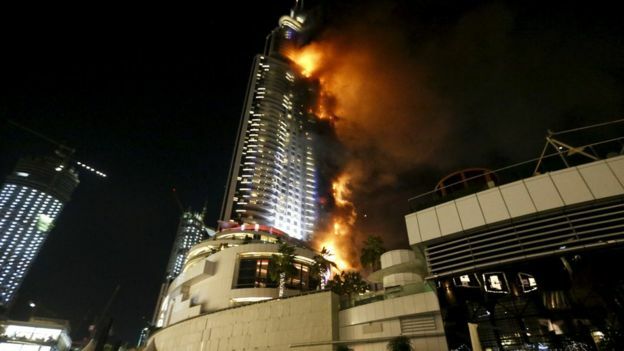 In Dubai, a skyscraper is ablaze. The fire erupted ahead of a major New Year's Eve fireworks display, due to be held at the Burj Khalifa. Crowds gathering to watch the display have been asked to leave. Fire appeared to have engulfed much of the building, which has more than 60 stories and is a luxury five-star hotel and apartment complex. Up in the US in the state of my origin, Missouri, major flooding and rain is threatening all around St Louis and environs of the Mississippi River and other rivers, cresting above levees. Intense flooding has killed at least 20 people and forced hundreds of roads to close across Missouri and neighbour Illinois. Rain-swollen rivers will set records in the Mississippi River basin through much of January. Flooding on the middle and lower portion of the Mississippi River and some of its tributaries may reach levels not seen during the winter months since information began being recorded in the middle of the 19th Century. Residents in Secret Harbour are being warned again of bush fires today with memories of last November when fires caused havoc in the Perth suburb. I'm in Howlong as the year begins, on the Mighty Murray River, and there is no flooding here, and no fires. And only small crowds at the Bowling Club last night to watch a tribute group of the Little River Band (http://www.littleriverband.com). LRB was formed in the mid-70s in Melbourne, so it was fitting to hear them play last night, although I have to admit, I heard them through my window as I was weary from a day of golf, heat and reading. "Won't you look down upon me, Jesus, You've got to help me make a stand. My body's aching and my time is at hand and I won't make it any other way." I won't make it any other way than with Jesus. He has to be my rock and stability in the midst of flooding waters. He has to be my cool and calm in the midst of storms and fires. He has to be the reason for my celebrating New Years or New Days. He is the reality and the joy of my being. Being born again by Him 44 years ago didn't just give me an entry ticket to heaven; it brought heaven to me in my days. And is available to you as well. Taylor's prayer can be your prayer. Even today. Even now? Happy 2016. 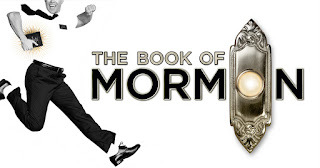 Should I get excited that this blog is the 613th blog on Australia Jews for Jesus blogspot? (#JFJAustralia) After all there are 613 commandments in Torah, 248 positive and 365 negative. And the number 613 always reminds me of Torah. And God's Word. And God Himself.